Red Dot Bhangra, a week-long celebration of bhangra in Singapore, is all set to dazzle bhangra fans as well as those who wish to take the first step into this traditinal Punjabi dance. The festival includes the Red Dot Bhangra’s Bhangra-Lab (B-Lab) happening today (22 July) and a Bhangra Bonanza on Sunday (24 July). A joint initiative between the Young Sikh Association (YSA) and SWAT Bhangra group, the week-long bhangra festival aims to improve the understanding of the Punjabi culture, specifically through the medium of Bhangra and other musical-based performing arts. During the week, the two organisations will jointly carry out a social media campaign, reach out to the wider society (Bhangra-lab), including the under-privileged and non-Singaporeans, as well as hold a cultural extravaganza show featuring performances from the Punjabi and other cultures (Bhangra Bonanza). MP for Nee Soon GRC Henry Kwek has been invited to attend the event, according to a joint media advisory from the organisers. 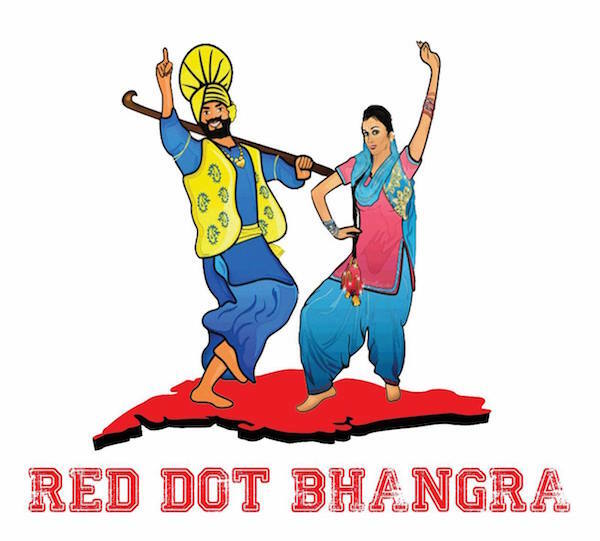 The social media campaign began on 18 July where a video clip promoting the Bhangra culture were circulated online, launching the week-long Red Dot Bhangra festival. The clip featured the various Bhangra dance artists in Singapore, the history and significance of the Punjabi performance culture, particularly Bhangra, and why some non-Singaporeans (who are members of the teams) have chosen to be active members of the Bhangra fraternity in Singapore. Red Dot Bhangra’s Bhangra-Lab (B-Lab): In essence, B-Lab objectives are three-fold: Educate. Engage. Entertain. Partnering with the Learn Bhangra App through Learn Bhangra Singapore, the B-Lab event on 22 July 2016 (Friday) at Level 5, Sikh Centre Singapore, Silat Road Sikh Temple, aims to expose people to fitness at a new level of enjoyment. Get in shape while having fun! As part of B-Lab, there will also be a mini-exhibition on the heritage of bhangra. This seeks to promote the understanding of bhangra culture, which the Punjabi society practices in Singapore. With an additional targeted audience of new citizens, PRs and foreigners alike, this serves to improve integration and in turn strengthen inter-racial bonds amongst those present. Bhangra Bonanza: This cultural extravaganza will feature Singapore’s top bhangra team and performers from other cultures to come together to entertain audiences at The Grassroots Club on 24 July from 3 to 6pm. Designed to promote inter-cultural understanding, an appreciation of the Punjabi culture and to strengthen multiracial bonds in a fun-filled way, the Bhangra Bonanza will also feature non-Sikh/Punjabi performers from Singapore. As some of the teams also feature non-Sikhs/Punjabis, this will be an added contributor to the promotion of inter-racial understanding.